i’ve known about daoud shaw for some time – about his studio, radioactive productions, about his stint with van morrison and jerry garcia and the SNL band – but circumstances had never really thrown us together in a professional capacity until this session. 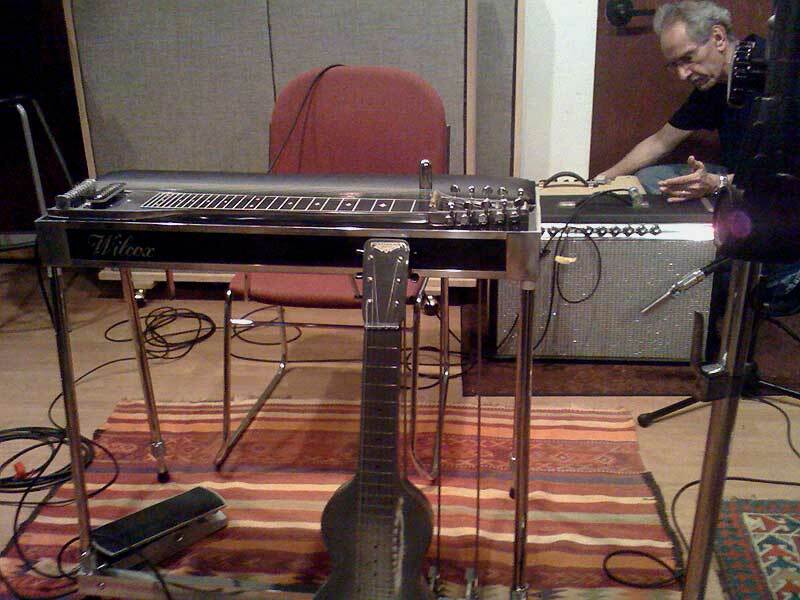 my longtime friend, ray naylor, asked me to come in and play pedal steel on two songs from his next album, and he’s been a longtime client of daoud’s, so fate finally threw us together. 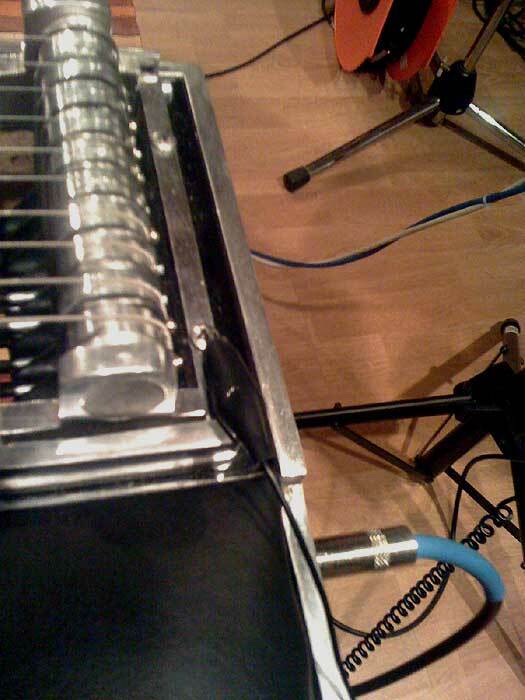 i have a new pedal steel built by chet wilcox, and (obviously) it was my instrument of choice for this particular session. yet when i unpacked it and set it up, there was a faint buzz that we just couldn’t isolate. of course, we initially thought it might be a cable, then the polarity on the amp…but we eliminated every single device in the signal chain, and even tried going direct, and the buzz prevailed. thinking it might be the instrument, i went out to the car and grabbed my lap steel and brought it in to test…and the buzz was there for the lap steel as well. so how do you eliminate a hum that’s there, no matter what’s in the signal chain? as is typically the case in sessions where i’m adding to a completed rhythm section, the parts these songs were calling for were pretty obvious – there were other instruments already recorded that were busy enough to cover the fills, so i essentially concentrated on pads and chordal beds underneath the vocal that filled out the arrangement somewhat, and threw in one or two runs that might perhaps tind their way into the spots between the lines of the verses if they chose to use them. most of the time, i don’t like to go overboard with fills unless there’s nothing else on the song…and then, it’s even more important to keep a lid on how kinetic your playing becomes – lest you draw too much attention away from what should be the focus of the song…the words and the melody. if you take away the sixties and seventies, if you take away the whole arena-rock era and pretend that it never happened, then nothing has really changed since the forties and fifties. as a musician in that day and age, what were your goals, your hopes and dreams? you started out playing because you loved music, and your thought process would be that if you got really good at what you did, you’d get a gig that paid well enough to allow you to play professionally – whether it was cover songs in a nightclub, or something along those lines…or maybe in an orchestra, or in some public performance setting that put money in your pocket, and maybe you’d do sessions here and there for extra cash. if you take away everything that happened in rock and roll since 1967, we’re really kinda right back where that demeanor left off. when the business exploded, we made so much money and got so much attention that it became something that we felt we were ENTITLED to, and a lot of people wanted to be part of this because of the trappings, and not because of the music. but now that the trappings are falling away, you’re finding more and more that the people who are doing this are doing it because of the music and not the paycheck. i had auditioned to join johns’ band the previous summer – we had a handful of rehearsals and actually did one show together, but i think a little too much time had gone by between the point when the prior incument left and the point at which john must’ve decided that he wasn’t really sacrificing too much by continuing on as a four piece. at one point, it was a done deal, and then all of a sudden he stopped answering my phone calls. i kept in touch with a couple of the guys in the band – pk lavengood and kenny aaronson – but i hadn’t seen any of them since the show we did at havana in new hope the summer before. in the meantime, jd malone‘s band has grown into a bit of a freight train…and this bill seemed perfect to me. 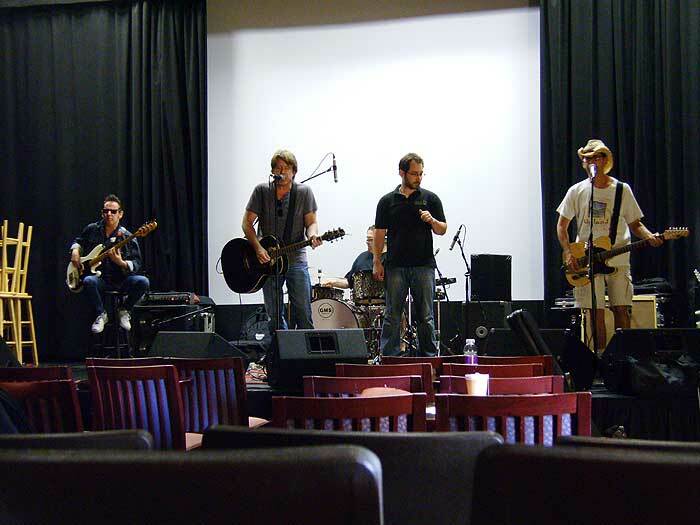 i love playing the bigger rooms and the larger stages with this band – when we get the opportunity to push the volume a little bit, and to actually put on a show, as opposed to just playing the songs. jd is a natural showman without making any obvious effort at all, and it’s easy to play off his energy. i think jd had opened for john before, but i think that might’ve been during the malone and mcwilliams era…certainly, it was before he and i had started working together, so it was the first time he’d be playing in front of them with any of the current players in tow. john and the band were great – the folks who follow john really follow him…his fans are very devoted, and it was good to reacquaint myself with some of them that i’d gotten to meet briefly before. and, of course, it was great to see pk and kenny.